I'm going to do something I rarely do: I'm giving an in-post shout-out to a TechnoBuffalo reader. "I dont think they are anywhere near the apex. One day we'll replace gaming consoles, desktop pc's, be able to drive cars etc with a smartphone. Until then keep bumping up that hardware, functionality and features!!!" Aside from the ability to drive cars — which is possible, but not exactly mainstream yet — sheepsies might be on to something. 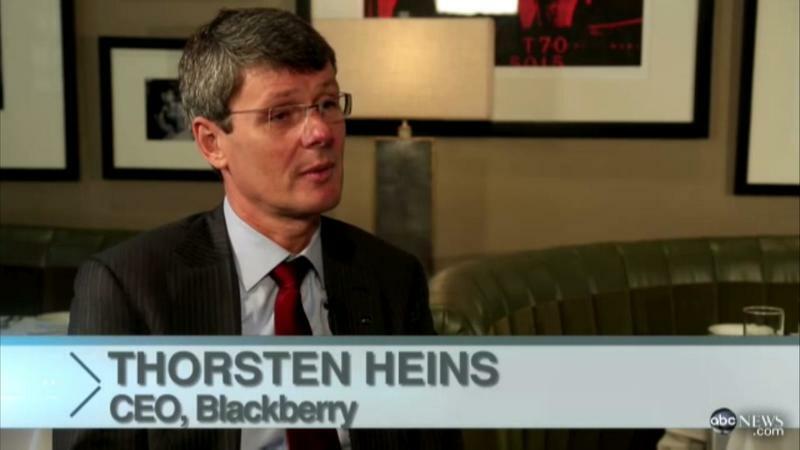 At least, it seems like he's somehow jacked into the brain of BlackBerry CEO Thorsten Heins. "[Speaking of the BlackBerry Z10,] this is not just a smartphone anymore. This is your personal computing power. Think about what you can do with that. How many personal computing devices do you carry? Why not unify this to one device that executes all your computing needs?" Heins, who has called out competitors like the iPhone, seems to want BlackBerry to push at the forefront of the unified mobile tech space. No more fussing with syncing independent devices; this would give users the convenience of a single gadget that can power everything — phone, tablet, laptop and desktop. And the transformation between use-cases could easily happen via the magic of peripherals. Heins won't disclose details on what the company has been up to specifically, but he does hint that more information about it will be forthcoming at BlackBerry World. Of course, if you've been paying attention to the mobile industry, the fact that Asus has been in this space probably doesn't escape you. (Uh, hello? PadFone Infinity? This is your cue.) The company's latest is a phone that docks into and fully powers a tablet, and owners can attach a keyboard, to turn the whole setup into a laptop. And you might also remember that BlackBerry's previous stab at tablets, the PlayBook, wasn't exactly a grand slam when it came out in 2011. Despite decent specs and attractive looks, the $499 device failed to excite the masses and before long, wound up getting slashed to $199. They were going for less than that in the secondary market, and even then, only hackers seemed interested. But that embarrassing display didn't happen under Thorsten Heins' watch, but during the Jim Balsillie–Mike Laziridis era — when BlackBerry, then RIM, was sinking further into utter decline. Can the current CEO give unified mobile tech (and really, the company itself) the juice it needs to be compelling? We may find out this May during BlackBerry Live in Orlando, where the company will reveal more about its BlackBerry 10 plans and devices. It's an uphill battle, though. Asus' PadFone line is Android-based, which means it already has the backing of an immensely popular OS. The challenge for it is not interest, but marketing and availability — there's no word when it might hit the U.S. Can BlackBerry, which is still proving its BlackBerry 10 platform, do better? What say you? Are you interested in a unified computing experience? If so, would you give BB a shot? Or would you rather see it come from Android or another platform?